After treatment of bacteria, grain mix and rice, the rash disappeared and never recurred, even after eating rice. Longstanding rash from an allergy to Vitamin A and fish before NAET treatments. After the completion of the Vitamin A treatment, the rash disappeared. After 3 weeks of NAET treatments for HPV virus. Eczema cleared after treating for basic nutirents and fruits. "Ever since I was in my threes, my parents told me I had allergies. Crusty eyes and a stuffed up nose, each time the doctor said "Who knows?" We tried Zyrtec and I went crazy. I couldn't see. My vision was hazy. My eyes were itchy, my nose was stuffy, my skin was scabby, and I felt crabby. 'Is this how it will always be?' I asked my mom and dad. They searched and searched until they found Dr. Yee to rid me of what I had. From August through April, I went 3 times a week, the first 15 and then my other allergies. NAET saved the day and all I could say is 'YAY, YAY, YAY!'" Your grateful patient, Eddie B.
in the community all while maintaining Honors and advanced placement classes. 8 year old emotional level to the 13 year old that he is. Socially, he is improving. developmental journey. The peaks and valleys that come with Autism are becoming less and less. Dr. Yee for a problem with great success. She suggested that I see her. I began treatment and was wonderfully surprised. Success. can treat me for almost anything that causes me trouble or pain. constantly goes above and beyond to help in any way she can. I can not put into words the impact she has made on our lives. dramatically. I fear where I would be if not for her. Dr. Yee is one of the only doctors I trust. If I could give her more than 5 stars I would. One visit with her and you will see exactly what I mean. to providing glasses for a child who could not see the board. I could not believe they were seriously suggesting to medicate a 6-year-old. I declined that option and sought alternatives. began reading about the drugs they were suggesting. like mine that had various food allergies and behavioral issues. I finally felt hope. other times it was a leap. My family who was skeptical in time would say time to see Dr. Yee if my son was acting up. happy, healthy, and drug free! for my dog allergy. I now live with two full grown dogs and haven’t taken allergy medicine in months. food I was eating regularly. After treating for that food (gluten), my anxiety lifted, and I've been anxiety free ever since! no money can buy. Thank you Dr. Yee. and I have been pain free for about 7 months now. I feel like a new man. done for me but for what she has done for my son, as she is working to help him live the best life possible. I have lots of energy and feel great! a valium. I knew with that first treatment that this work was profound. have taken months on a therapists couch, but took only a couple of weeks with NAET. was manifesting in other ways), after successfully treating this issue, I became much calmer and my marriage began to heal. I feel deeply grateful to Dr. Yee and NAET. I am happy again, my marriage is strong and, best of all, my son is thriving as well! for 6 months! I would recommend NAET to anyone that has undergone a loss, suffering from depression or has anxiety issues. "My son Charlie was diagnosed with Asperger's when he was three. Charlie was having severe behavioral issues and extreme violent outbursts at school. He was in a self contained class of 10 children with a 1 on 1 aide. I was called 4 out of 5 times a week to come and pick him up. 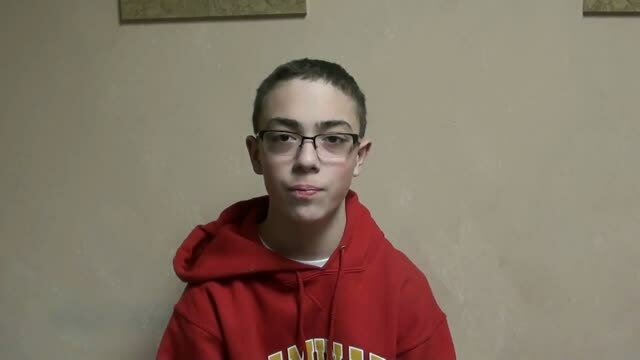 He was also forced to being home schooled for 6 weeks pending an evaluation through the Cody Center in Stony Brook where they were looking for a mood disorder diagnosis vs. Asperger's. Charlie could not get past his behavioral issues in school to show everyone just how smart, lovable and charismatic he really is, let alone last a full day! 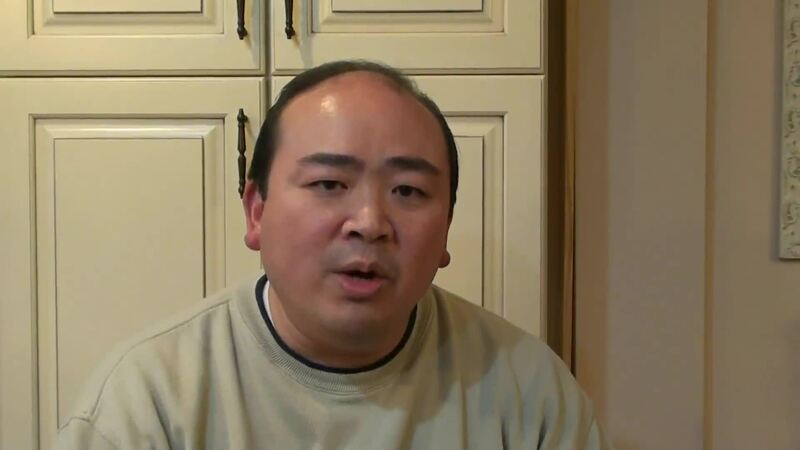 Dr. Yee did not want any information about Charlie's history prior to his initial evaluation. When it was completed I sat there as she told me the details about Charlie based on the testing, and I was blown away. What Dr. Yee told me were things that usually require extensive testing and medical charts to know. She was right on the money with many things that have an affect on Charlie. Then there were many things I never even thought contributed to his behaviors. After the first few treatments, I saw a difference. After the 4th treatment his teacher called and asked me what medication he was on. She was seeing differences in his transitioning, ability to accept change and his meltdowns were not lasting as long. It then occurred to me that Charlie's hard times in the afternoon were after lunch. It started to make sense that what my child was eating was in fact impacting his behavior and his brain! Dr. Yee assured me that the most dramatic changes would be seen after treating Charlie for sugar. The sugar treatment day arrived and I could not wait to see what the next few days would bring. Fifteen minutes after I left the office I called Dr. Yee and asked if it was at all possible to see such a change already? Charlie was attentive and directly looking at me when spoken to without any prompting. He seemed focused. When we got home a little while later, Charlie was very angry and had a fit that lasted 45 minutes to an hour. He calmed down just as quickly as he got upset. I let him alone for 15 minutes and he came to me and apologized for his behavior. Charlie has never apologized to anyone on his own without being prompted. This alone brought me to tears. All of his rage and anger had come out with the sugar treatment; this is what sugar was doing to him. His body was ridding itself of all the bad and was now able to accept sugar the right way. Charlie entered 2nd grade knowing 15 sight words, and he is now up to 310. He is reading at an early 2nd grade level. He is in an inclusion class for art, gym, library, computers & music. This past week he started the inclusion class for academics-science. Charlie has his aide on hand; however he constantly tells her I don't need you, I can do this on my own. The difference in him is night and day!! The Charlie that I know is in there, shines through for everyone to see now. He has friends, goes on play dates, and is on a wrestling, football and baseball team. The sensory issues have gone down considerably- he is able to wear all the football gear without a problem. His behavior, meltdowns, transitioning, triggers have gone. Any issues he has, so does every other 7 year old boy. I cannot thank Dr. Yee enough for what NAET has done for Charlie. You have enabled him to shine brightly for the whole world to see!! I recommend anyone who has a child within the Autism spectrum, ADD and ADHD to try NAET. You have nothing to lose and a whole new world for you and your child to gain!!" "At the age of 5 years 3 months, Matthew started NAET treatments for Autism. At this time Matthew could only speak two word utterances, mostly when prompted. He had poor eye contact. To take him into the community was a chore. He would get upset very easily and was aggravated by the simplest of things. He would not be able to handle loud noises and sometimes not even the radio in the car. After three treatments, Matthew was speaking in sentences. His eye contact improved. After two and half to three months of treatment he started initiating conversations. He also started noticing things and pointing things out to me. He seems much calmer and able to handle a lot more situations. After eight months he sits through TV shows and even saw a Broadway play. He is more attentive to his surroundings. Matt now can be taken out into the community without a struggle. At times Matt can be quiet; however, he does not appear to be the boy in his own world- it appears as a shyness. I believe this road is going to take us to recovery. I only wish that I would have done this when Matthew was younger. In addition, the NAET treatments have also relieved Matthew of his asthma. What a great side benefit!" "My son, Eddie, suffered from eczema since the time that he was a baby. He was also allergic to formula, whole milk and a number of foods. As he got older, he developed asthma and migraine headaches which were severe and occurred once to twice a week. He was treated by a dermatologist for his eczema, tested by a neurologist for his headaches and placed on medicine for his seasonal allergies, including an asthma pump twice a day and a nebulizer everyday. The medications gave him horrible mood swings, his skin was never fully clear and his headaches were unmanageable. When he was 11 years old, we saw Dr. Yee on a TV news program and decided to give her a try. Thanks to Dr. Yee's holistic, noninvasive treatments, Eddie has been free of eczema, headaches and asthma for two years without the need of any medications. In addition, his mood swings are gone. Thank you Dr. Yee! "I was born with eczema and have suffered with it for most of my life. After 3 months of treatments, I finally started to see miraculous results, and am amazed that I do not have one sign of eczema or allergic conditions anywhere on my body. God bless Dr. Yee and her wonderful NAET treatments." "My daughter is a different child today than she was 6 months ago. I attribute a great deal of her progress to her NAET treatments. She had sensory integration issues…everything in her world was either too loud, too bright or too over stimulating in one way or another. She started her NAET treatments, and seemed to become more comfortable in her own skin. Her self-stimming behaviors began to disappear. Today, Olivia is the child that I always dreamed she'd be. Her heightened senses no longer make the world a scary place for her, so her frequent meltdowns are few and far-between. Thank you Dr. Yee for helping her be more comfortable in her own skin." "Although skeptical when I first heard about NAET, I knew it was something I had to try for my son. Then, a little more than 2 1/2 years of age, my son had several issues. He was speech delayed, a sensory seeker, and hyperactive. He seemed to have a "brain fog" and with poor communication skills, he was extremely frustrated. He also had one food allergy I was aware of, eggs. Almost 2 years later, many allergies unveiled and treated through NAET, my son is a different child. His brain fog is no longer. His speech, communication, sensory and behavior issues are miniscule if any. He no longer is allergic to eggs. The difference in him is quite major. I continue to treat him because there are still more allergies we have not touched on and I'm still seeing improvements as he passes them. I strongly believe in NAET and I strongly believe in Dr. Yee. I certainly would not spend the time or money if I felt otherwise. I take my younger son to Dr. Yee as well and will continue to until I feel my children no longer need NAET to rid them of allergies and are at their optimal health. "One year ago, my son Tyler barely spoke. Now he is positively chatty. We owe Tyler's success not only to traditional therapies but to NAET. NAET is something that my logical mind cannot grasp. When I first heard about friends that used it for migraines and dog allergies, I said 'That's crazy!' Then I got laid off and had the good fortune to be watching a news show where parents of a young autistic boy spoke about NAET and how their son had no trace of autism left after going through the treatments. I consider it divine intervention that I had the television on when this show came on. At the time of his diagnosis for Autism, Tyler flapped, rocked, spun toys, had a fascination for fans, like to spin, was sensitive to certain textures, liked to stare at light, and barely spoke. Today, almost all of the autism related behaviors have disappeared. HIs first sentence came about 4-6 weeks after we started treatments. After 3 months, he no longer needed speech therapy. Some people who know us have a hard time believing he was ever diagnosed on the spectrum. Now, his ABA therapist feels that Tyler does not need ABA anymore. The school district strongly feels that Tyler's autism diagnosis will be lifted. NAET played a huge role in this. I feel that my job is to inform as many people of NAET as possible. I believe it is my job to let people know what worked for Tyler and at the end of the day, I can rest assured that I have truly done everything I can for Tyler. Not only that, but it worked." * Note from Dr. Yee: Tyler has been mainstreamed in his school, has lots of friends, and is doing great. Hurray for Tyler! "At age 50, I developed severe asthma. I am pleased that NAET has worked for me. I am no longer on medication and feel wonderful thanks to Dr. Yee and NAET. In February 2016, I was diagnosed with high blood pressure. It was spiking as high as 220/115. The results after 15 treatments are profound. Dr. Yee found that allergies related to minerals, certain foods, and some emotions were major contributors to my high blood pressure. After being treated, I am pleased that my blood pressure is now normal. The last one was 111/71." "Dr. Yee and I discussed the Carpal Tunnel Syndrome that was causing swelling, pain, and tingling in my left hand. I would awaken with severe pain during the early hours of the morning and couldn't get back to sleep. When I mentioned that I slept on a water bed, we worked on eliminating the allergy to the rubber mattress. Now I have no pain in the morning and I wake at a normal hour. I'm amazed at the progress that I've had and I am very grateful both to Dr. Yee and NAET." "When I first came to Dr. Yee, I was a mess. Everything I ate gave me some kind of reaction. Minor reactions included itching and major effects might be severe stomach pains or a swollen throat depending on the food. I had been to numerous doctors and have spent probably close to a year's salary trying to help myself. Dr. Yee first started treating me for the basic 15 and then we moved onto wheat and dairy to which I was very allergic. After treatments, I was actually able to travel to Italy and indulge in pasta and cheese without any problems for the first time in 25 years. Dr. Yee has really saved my life and most importantly, my sanity." 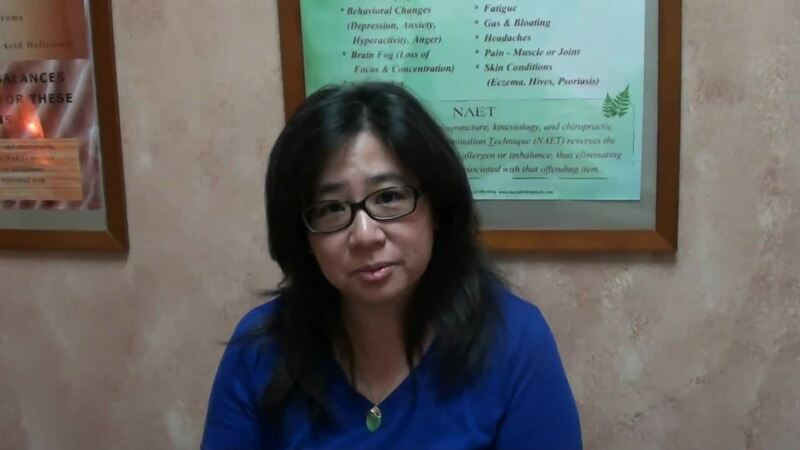 "When Dr. Yee started treating me with NAET, I never realized I had so many allergies that were contributing factors in causing so many of my physical problems. It is a remarkable treatment program that has greatly reduced, or in some instances eliminated altogether, much of the all over body pain that I have suffered with on a day to day basis for so long. It certainly has given me a much better quality of life." " What can I say about Dr. Yee and NAET? Just that it has totally changed my life! For over 20 years, I've taken allergy medication everyday. My allergies were bothering me all year long. I used Zyrtek everyday upon waking. These meds raised my blood pressure, yet I couldn't skip even one day fearing the horrible sinus headache that would follow. I saw an ear, nose, and throat regularly trying all the latest meds. Dr. Yee has treated me for pollen, mold, grass and trees three months ago, and miraculously, I haven't taken a pill since. My blood pressure has returned to normal and no headaches! I almost forgot what it was like to be headache free for a day much less 3 months! I want to shout Dr. Yee's praises from the roof tops. I only wish I found her sooner! "I used to feel weak one half hour after eating eggs and shrimp, but since Dr. Yee cleared me of these allergies, I can eat them without anymore weakness. My wife used to suffer from acid reflux when she would eat tomatoes, vinegar, or any other acidic foods. 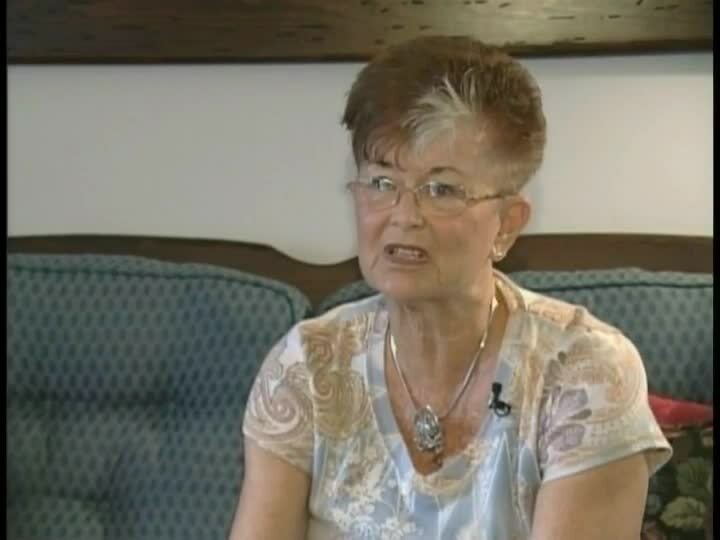 Since being treated for an allergy to her own stomach acids, she no longer suffers from the acid reflux. Thank you Dr. Yee for helping us with our allergies! "As a registered nurse, I was taught to believe that conventional medicine could cure what ailed me. At the age of nineteen, while in college, I received the Hepatitis B vaccine as most healthcare workers are encouraged to do. I suffered severe flu-like symptoms immediately following the vaccine. Reassured by my doctors that the vaccine could not have caused these symptoms, I continued with the vaccine schedule, ignoring the side effects, until the series was completed. My fit health began to decline. I became jaundiced, started losing my hair, losing weight-even though eating very well, and developed Irritable Bowel Syndrome. With no need to question my medical wisdom of the hospital personnel, I received the flu vaccine, which was encouraged by the hospital I was working for. I ended up with an asthma attack. I was left dependent on my inhaler whenever I exercised. How had this happened to me? I felt terrible every day. I was once an energetic, happy, healthy young woman who now suffered from Irritable Bowel Syndrome, migraines, Fibromyalgia, Chronic Fatigue Syndrome, to just name some of my diagnosis. This was unacceptable to me. I did not want to continue my life feeling this way, so I began to see doctor after doctor, each having no answer and a different diagnosis. My 5'8" frame now weighed only 110 lbs. I ate more than my 230 lb. husband and was starving to death. Disappointed by the medical community I was part of, I began to research holistic care. After trying just about every natural mode of treatment, I was better but never right. Many symptoms had disappeared including my asthma. I simply resided myself to the fact that this was the best quality of life I was going to have and I'd deal with the remaining symptoms as they plagued me through diet, light exercise, rest and supplements. I'm now a mother of three and my middle child began experiencing breathing issues, swollen glands in her neck and an enlarged thyroid. I received no acceptable answers to the cause from my conventional pediatrician or my holistic pediatrician. So once again my journey began. By the grace of God, we found Dr. Yee. At first, I was skeptical. The treatment was so simple, how could it possibly work? My daughter was treated first. What a relief to see her breathing normally again. The swollen glands and thyroid disappeared as well as the dark circles under her eyes. She was once again sleeping like an angle. I'm still dumbfounded by how good I feel. I never thought I could feel this way again. Each of my children has been treated and my husband will be next. I'm now at peace knowing there is an answer. Thank you Dr. Yee!" "Our son was diagnosed with PDD-NOS at the age of 3½. He had severe behavior problems, was extremely emotional, had a poor eye contact and was not communicative. Needless to say life was difficult for him. 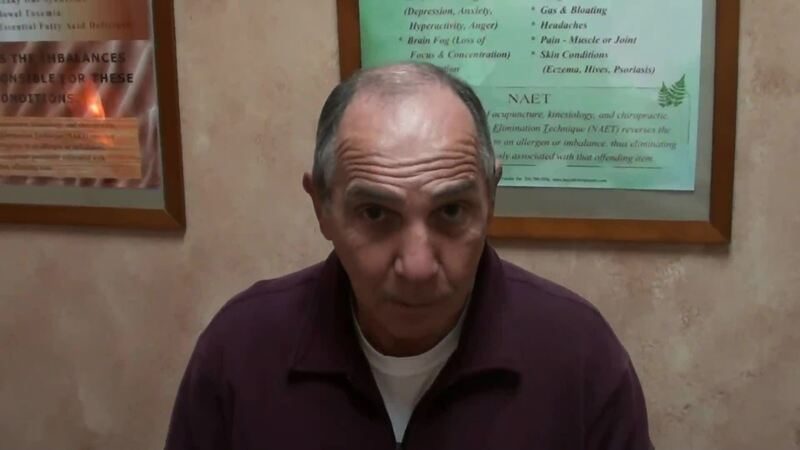 Once we started his NAET treatments with Dr. Yee we started noticing differences immediately. The very next day after his first treatment, we had a birthday party to attend. Previously it had always been such an ordeal to go to events with him. But on that day he was a different boy. We couldn’t believe our eyes and ears! And as we continued with treatments a wonderful, caring, loving, communicating and charming boy surfaced. Today our son is in a main stream pre-k class, and nobody can say easily that he ever had a diagnosis. We can take him to Broadway shows and he can sit still and follow thru the story and make comments afterwards! He is very protective of his little brother, and he helps around the house! It is such a pleasure to spend time with him, and he is a much much happier kid. We cannot thank Dr. Yee enough! We were so happy with the results we’ve seen that our whole family including our extended family (cousins and sister in laws etc.) started treatments with Dr. Yee on different conditions – allergies, pain, thyroids etc.. And I must say we all saw incredible results! Please if you or someone close to you is suffering from anything at all let that be autism or asthma or chronic pain please come see Dr. Yee. I guarantee you, your life will change for the better." * Note from Dr. Yee - N. Onal's son is mainstreamed and leading the very normal life of a very typical child. He is at the top of his class and we are so proud of him! "About one year ago, I began to feel a significant shift in my body. Suddenly, I began to suffer shakes, hypoglycemic attacks, muscle cramping, and numbness in my extremities. I went through a battery of tests from specialists in endocrinology, neurology, and cardiology. They all said I was healthy as a horse . Even I was starting to think I was going a little crazy. A family member in the healing arts told me about NAET and eventually I found Dr. Yee. I was tested and treated for several allergies over a period of several months. Within a few weeks, the shakes stopped and my blood sugar completely stabilized. I can once again eat foods I previously avoided. My entire system is working again and because of Dr. Yee, I am able to live my life without being constantly distracted by my body's problems. I am very grateful for Dr. Yee and her wonderful work!" "Last fall my son, Scott, suddenly developed a chronic shaking in his arms and hands, and within a couple of months, it spread to his legs. After about 6 months of hoping it would subside, Scott's pediatrician referred him to a neurologist. After a series of tests (MRI, EEG, etc) which turned out to be normal, the neurologist sent us to the Schneider's Children's Hospital where they did another series of tests and again they came back normal. Frustrated and extremely concerned, the doctors at Schneider's sent us to a Movement Specialist. 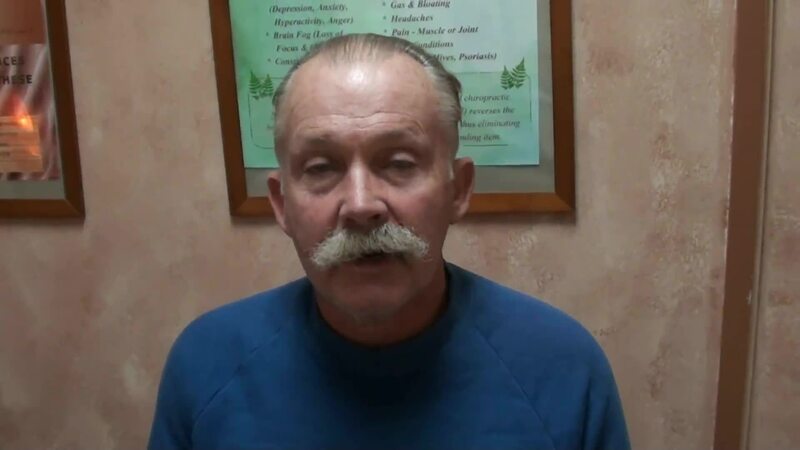 After a physical exam by this doctor, he expressed his concern that Scott may have Juvenile Parkinson's Disease. The test for Parkinson's was intense and the results took 2 weeks to come back. Fortunately, the test came back normal as well. I had been taking Scott to Dr. Yee for NAET treatments since last summer for other medical reasons and was having a great deal of success. While the medical testing was going on, we had been discussing the shaking with Dr. Yee and she happened to have a testing vial for Parkinson's and tested Scott for the disease. His arm held strong and Dr. Yee assured us that he did not have it. The medical Parkinson's test was already scheduled for the next week, so Dr. Yee encouraged us to keep the appointment. Since Scott already had good results with NAET, I had faith in the NAET testing which made us feel confident that the Parkinson's test results would come back normal, which of course, it did. Still a mystery as to what was causing Scott's shaking, I thought back to when the shaking began. He did have a lot of personal turmoil beginning with his first breakup with a girlfriend. He was doing poorly in school, and there were many conflict with friends. Also, Scott was not making wise choices, sometimes putting himself in dangerous situations. He purchased an iPhone in October and I joked with Dr. Yee about the iPhone being the cause of the shakes. Dr. Yee said that it could very well be the cause and that she could treat him for electro-magnetic waves. In less than 1 day after the treatment, Scott's shakes had completely stopped! All during the medical tests, I had asked each doctor if the iPhone could have been the cause. They all said No, not even a possibility. Well, they were all wrong, and we had to go through very expensive testing for nothing. After the NAET treatments for electromagnetic waves, I also found that Scott was making more sensible choices just like he used to. Thank you again, Dr. Yee. This is truly a tribute to you and NAET! "The NAET treatments that I have received from Dr. Yee have given me my life back. For the majority of my life I have struggled with the pain, exhaustion, mental fog, and the frustration of fibromyalgia. After 10 months of treatment I now know what it feels like to feel good. I now feel good most of the time and on the days that I do not feel well, I can't believe that I used to feel that way all the time! "I am a healthy male in my mid-thirties. One day out of nowhere, I started having constant attacks of vertigo which would last for 45 minutes to one hour. It goes without saying that this had a serious impact on my life. It made it very difficult to do everyday things including driving or going anywhere alone. After hours of research, I found myself at Dr. Yee's office. After several months of treatments, I can tell you that I now rarely get an attack and when I do, it only lasts for a minute or two and is very light. The method she uses, going after the cause and not the symptoms is the way it should be. By eliminating different allergies, the body fights off the problem on its own. If you have a medical problem, go see Dr. Yee. Tell her Brian sent you!" I was diagnosed with ascites (fluid buildup in the abdomen) due to iron overload which caused liver damage two years ago. Doctors drained the fluid but the aftermath of having this for months before left me with significant weight loss, malnourished, fatigue, pain, the stress of this illness and seeing countless Doctors. Dr Yee said she could help me as she had in the past with other problems such as vertigo, among other smaller issues. She started with the basic 15 to get my immune system back on track. Within the first two treatments the pain I experienced in my abdomen went away and has stayed away for these two years. NAET really works. I thank Dr Yee for her kind heart, belief and knowledge of NAET. Thank you for introducing me to the world of energy medicine.